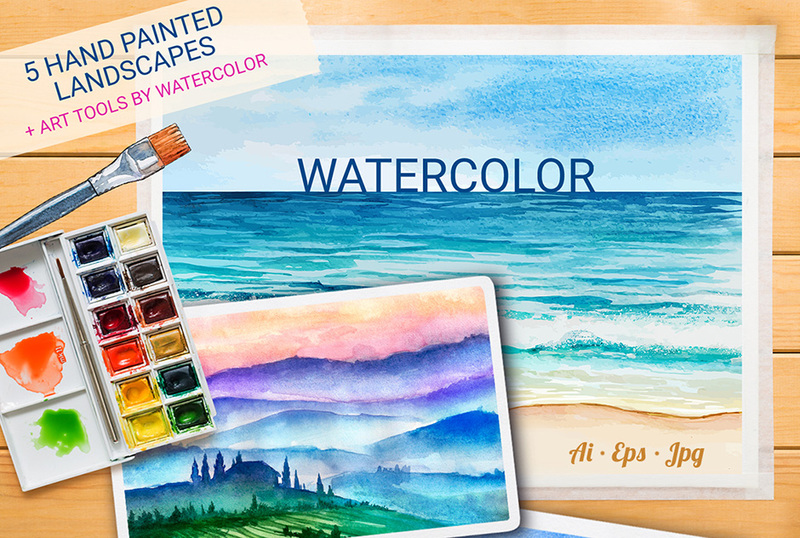 Introducing watercolor vector landscapes medley: the monotone cityscape, the misty mountains, the austere hills, the sandy beach, and the quaint provincial tableau. Five dreamy scenes that make you want to book a flight or leave on an impromptu road trip. This memorable collection is suited for design projects of any kind. Add a whimsical touch to your travel website or trim your blog. • Bonus – art tools by watercolor. Software compatibility: Adobe Illustrator CS6 and newer. .EPS files will work with a variety of programs such as Adobe Photoshop or Illustrator, Sketch, Affinity, Corel Draw, etc. .JPG files will work with most graphic software. Bonus - art tools by watercolor. File size is approx 96MB (140.9MB unzipped), offered as a single download.